Although we walk through the entire process with you hand and hand, as we do, we ask you to watch specific videos as we guide you through the process, then we work with you to assure you understand the process. We provide all of our medical clients with more than 18 hours of video training produced by the founders of our company. Attending a live clinical training one time will not do you any good. You will want to watch these videos more than once and so will your clinical staff. - Total Time: 18 hours, 58 minutes. While you are taking part in our program and even long after, "We Are On Your Team". By your side to assist you "For the Lifetime of Your Home Health Care Agency". Advisory: Some home care consultants make promises they cannot keep. They make claims about large client lists, but do not employ enough coaches and staff to be there when you need them? At CHC, we have a team of 12 employees and do not take on more than 6 new home care startup clients nationwide per month in effort to manage growth and maximize customer service. Remember, cheap service isn't good, and good service isn't cheap. Or email our home health care consultants by completing the form below. We will teach you what is required to start a home health care business in your state and help you take the first step in making your dream a reality. 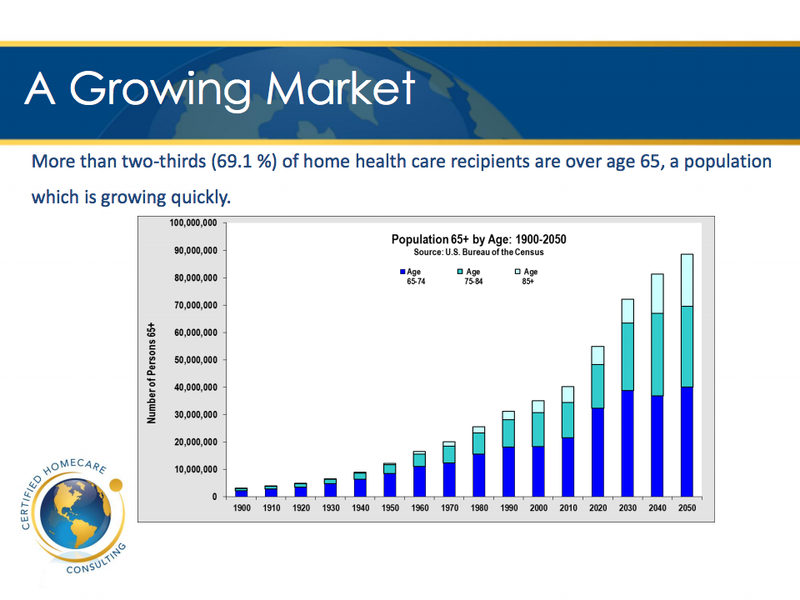 Are you interested in starting a home care business or another type of healthcare business? We can help you with that too. Call CHC today for a no-hassle, cost free consultation.